Police are investigating after a man robbed a pawn shop on the city's West Side Wednesday morning. CHICAGO (WLS) -- Police are investigating after a man stole around $40,000 in gold from a Pilsen pawn shop Wednesday morning. 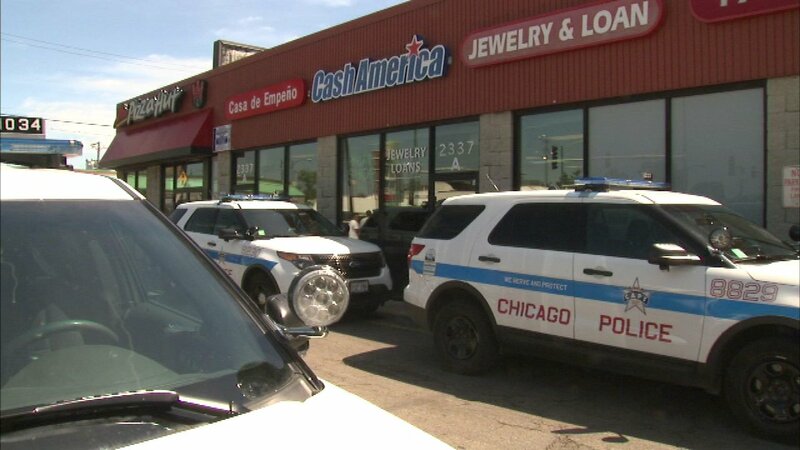 Police said a man in dark clothing entered the Cash America store in the 2300-block of W. Cermak and used a hammer to shatter a display case just before 10 a.m. The shop owner told police the man got away with about $40,000 worth of gold, police said.